At Cash4Books, we’re always focused on giving you a fast, easy, and convenient way to sell your used textbooks. Based on our data, and the 10 million price quotes we’ve completed in the last 2 months alone, we’ve put together a list of the top 10 selling college textbooks of 2017. Buckle up, and come along for the ride as we present our findings, and decide which books to watch out for! This entry was posted in College, Textbooks and tagged Top Selling College Textbooks on January 11, 2017 by Jim McKenzie Smith. At Cash4Books, we’re always focused on giving you the best deal on your used textbooks. Based on our data, and the 10 million price quotes we’ve completed in the last 2 months alone, we’ve put together a list of the top 10 selling college textbooks of 2016. This entry was posted in College, Textbooks and tagged Top Selling College Textbooks on July 17, 2016 by Jim McKenzie Smith. At Cash4Books, we’re always focused on giving you’re the best deal on your used textbooks. 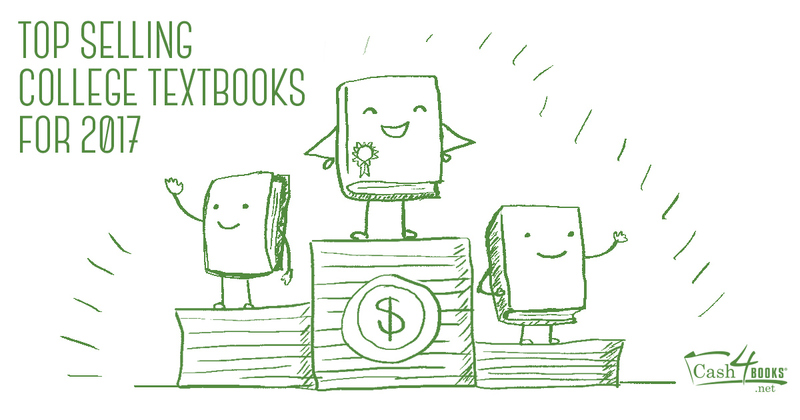 Based on our data, and the 10 million price quotes we’ve completed in the last 2 months alone, we’ve put together a list of the top 10 selling college textbooks of 2015. This entry was posted in College, Textbooks and tagged Top Selling College Textbooks on March 21, 2015 by Jim McKenzie Smith.